Should your business require storage for documents, furniture, IT, stock, pallets or any other business related effects we have a range of solutions to meet your requirements. 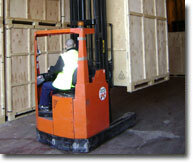 We also offer deep archive solutions with a retrieval and collection service. Our facility is based in London which provides excellent access for HGV vehicle and are all closely linked to provide quick and easy access to all of London and surrounding counties M25, M11, M1, A1, A406, A10.